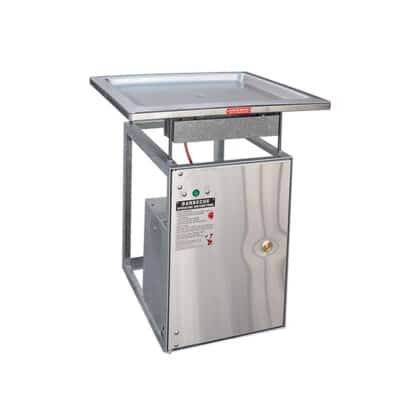 Industry standard sized electric hotplate available in 3.5KW & 6KW. Also available in a pre-fabricated cabinet. 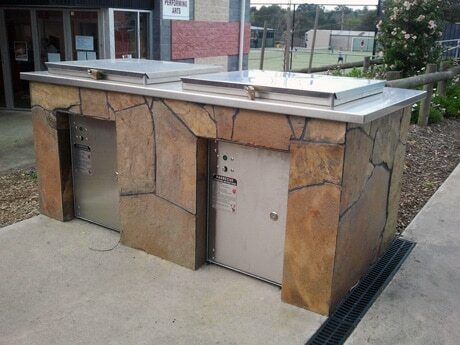 Impressive large size hotplate available in LPG, natural gas & electric. Also available in a pre-fabricated cabinet. Stainless steel eco-friendly inbench style built in BBQ perfect for retrofit installations. Available in Electric only. Brick in style barbeques come ready for your brick, stone or custom made enclosure offering the ultimate flexibility for your custom installation. They are built to perform and are a safe, sturdy and efficient hotplate unit. With a choice of three sizes and styles of hotplates these commercial style barbeques come as a complete unit so that the associated controls and adjustments necessary are all provided for easy installation. The fully galvanised steel framework of the Park Pro hotplates is designed to make brick in construction as quick and easy as possible and features a pre-assembled sturdy stainless steel locking door designed to secure the controls and hide the drip container for excess fats. 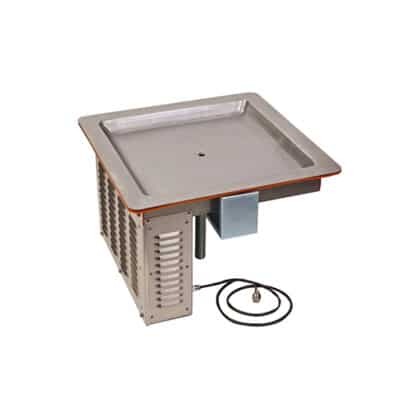 The height of the hotplate can be adjusted to suit your brickwork. 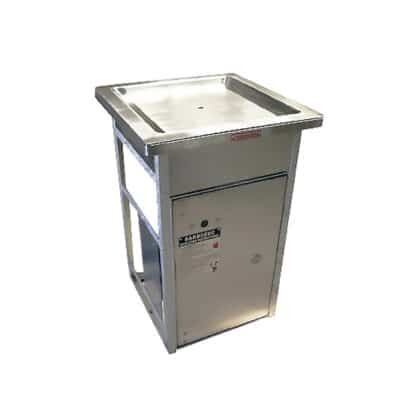 Park Pro brick in barbeque models are available in the industry standard Queen size hotplate or in the much larger King size hotplate, which offers an additional 90% cooking area. Both models are available in electric and come standard with push-button ignition control. The King size plate is also available in LPG or natural gas. Key and coin operated controls are available upon request. Our eco-friendly range features an inbench style unit in all stainless steel construction that has audiovisual indicators to confirm functions. You can conceal the drip bucket with an optional stainless steel door or by using a method of your choice. These brick in units are nothing short of impressive, practical and durable and are also highly suitable for retrofit installations. Not sure what you need or want something custom made? Talk to us today, we’re here to help you find the best possible solution for your project.